The end of another academic year provides an opportunity to reflect on all that the UK family has accomplished together. It’s been a successful year, and I’ve been sharing several hallmarks of our progress with communities around our state. We’re a University of choice for an increasing number of students. Our enrollment passed 30,000 for the first time in Fall 2014. Among those students were 113 National Merit, National Achievement and National Hispanic Scholars, bringing the total to 289 in the last three years. This places us in the Top 10 among public institutions with these scholars. 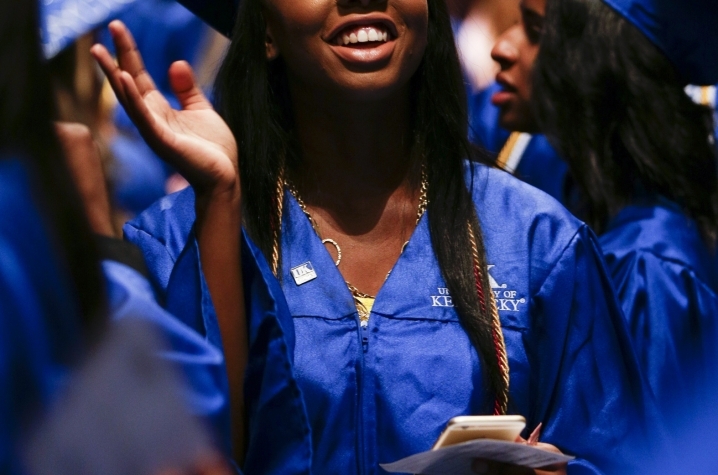 This past weekend, we awarded degrees to a larger number of students than at any point in our history. 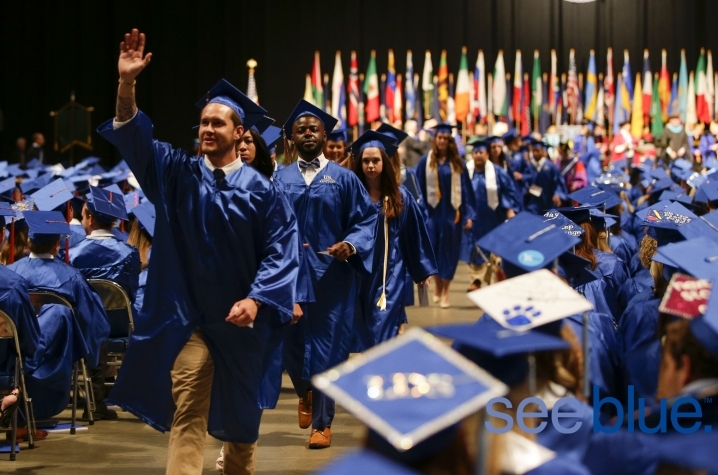 During the May Commencement, the University conferred more than 4,500 undergraduate, graduate and professional degrees. This cohort of students is added to the more than 1,900 graduates who received their degree during the December Commencement. Among them are students of extraordinary caliber who enjoyed unique and promising college experiences. One student, UK’s 13th Truman Scholar and a Sullivan Award recipient, launched a non-profit organization that provides tennis lessons to disadvantaged children. The student-athlete and Phi Beta Kappa graduate will go on to pursue her Masters of Public Administration with a focus on non-profit management. 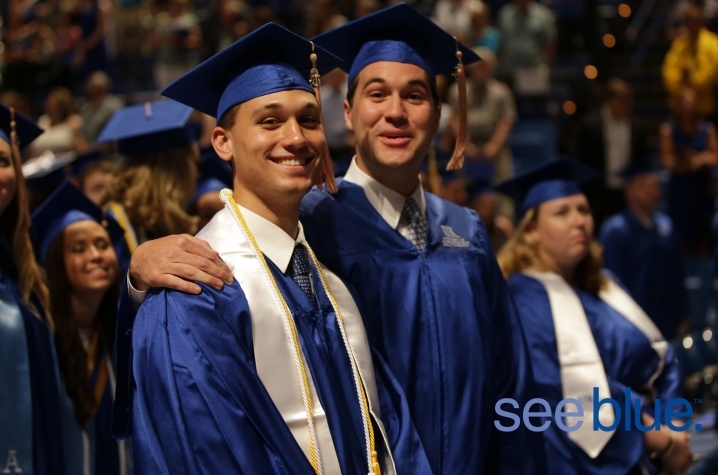 Another student left college in his freshman semester at UK to serve his country in Afghanistan, and now, several years later, finished with a degree from the College of Dentistry. He continues to serve his country after being commissioned as a Captain in the U.S. Army Dental Corps stationed at Fort Campbell, Kentucky. Many of our graduates were the first to receive a college degree in their family, including the son of two parents who came to America from Cambodia to give their son better future. The First Scholar graduated with a degree in mechanical engineering after several internships with Toyota and Marathon. The Georgetown native plans to work for Marathon Petroleum in Texas. Exemplifying the statewide impact of our Extension Network, one graduate credits our Fine Arts Extension Agent with challenging her at an early age. The Pikeville native was engaged in the Artists Collaborative Theatre, which inspired her passion and encouraged her to find her niche. 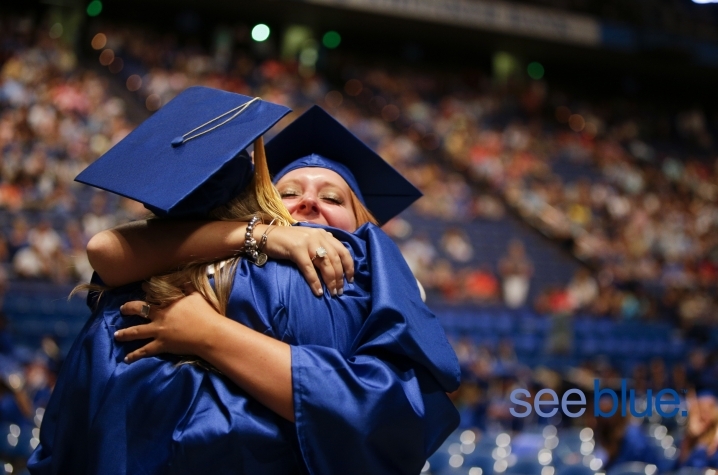 These stories are a small fraction of the countless students who join scores of UK alumni across the nation and world. Over the summer, work will continue across campus in our classrooms, laboratories, performance halls and patient care facilities. We will serve current and future students, seek a greater understanding of our world and heal patients in need. Important construction projects will conclude as others continue to rise from the ground. We are making extraordinary progress, but the greatest markers of success are the concrete representations of others’ trust in us: the students who choose to pursue their education at UK; the faculty – both early career and seasoned professors – who teach, mentor and discover here; the staff who dedicate their time to operating our campus and supporting our students and this important work; and the many alumni, donors and friends who represent, support and advocate for our university. 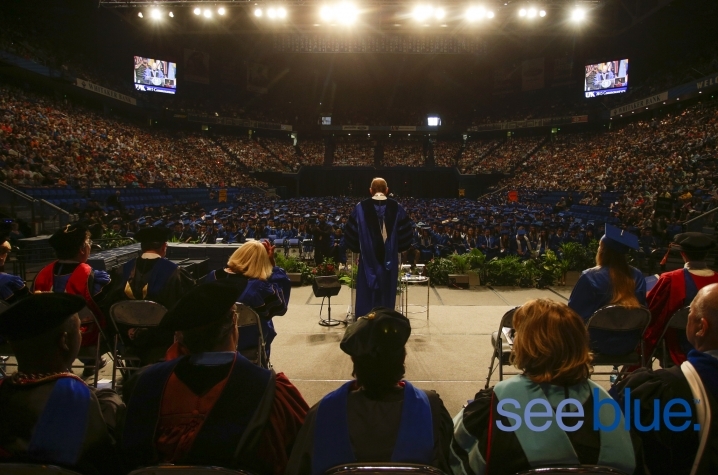 The 2014-15 academic year was a special time for the University of Kentucky, and we look forward to an even brighter future.